Word Roundup™ games are simply some of the finest, most interesting and most fun word puzzles ever invented. 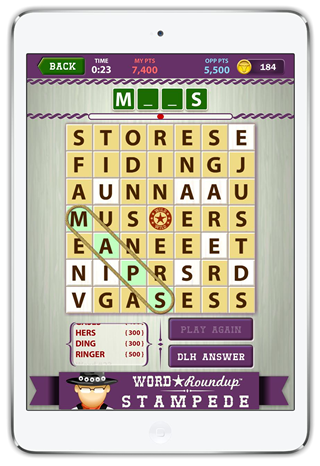 The newest Word Roundup™ games can now be enjoyed in dazzling new FREE apps on phones, tablets and mobile devices! David broke the mold with his first Word Roundup™ game in 2006. His puzzles are more fun than old-style "word find" games. Millions of fans love solving them every day in USA Today (print & online). David's puzzles don't have boring lists of words to find. Each puzzles is entirely hand-crafted by David, The Man Who Puzzles America! 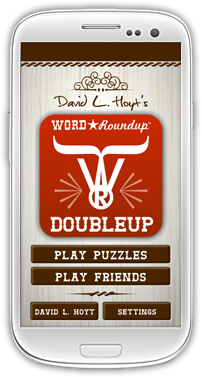 His new apps include the brand new Word Roundup Stampede™ and the forthcoming Word Roundup Doubleup™. Download the FREE apps today. You'll love the puzzles! Word Search has never been more fun! 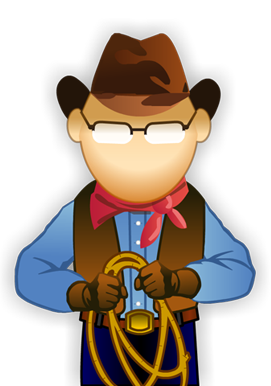 Every single puzzle in David L. Hoyt's Word Roundup Stampede™ is a hand-crafted masterpiece. David thinks up and places every word in the 7x7 letter grid. The game play is simple. Play by yourself for the fun mental challenge. Play with friends in two-player mode (using local wi-fi). It's a total blast! A more detailed game description may be found HERE. Get the FREE app today (links below). You'll love playing! As the most syndicated daily game creator in the world, David L. Hoyt is the self-confessed puzzled mind behind a long list of wildly popular games, puzzles and brain-teasers. David’s most famous games include Jumble™, Word Roundup™, Pat Sajak’s Lucky Letters™, Word Winder™, Up & Down Words™ and Boggle BrainBusters.™ His games appear in 750 newspapers, including USA Today, New York Daily News, Chicago Tribune and Los Angeles Times. For more about The Man Who Puzzles America, click here!